Waku Ghin is an omakase dining experience taken into different, exciting direction. Guests gather at the end of the meal to eat dessert in the drawing room overlooking Marina Bay. Japan-born Australian chef Tetsuya Wakuda began to learn classical French techniques in Sydney in the mid 1980s, and opened his restaurant Tetsuya there in 1989. 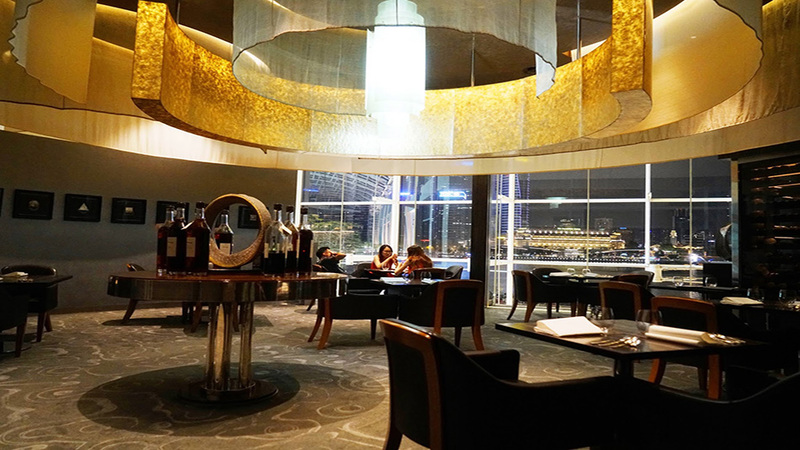 Waku Ghin is his second venture, opening in Singapore’s Marina Bay Sands in 2010, and has quickly achieved the highest ratings. Executive chef Masahiko Inoue heads the kitchen in Singapore. MUST TRY: Ohmi Wagyu steak. “Waku” means to arise, as in spring water, and “ghin” means silver, which is Tetsuya’s favourite colour and which permeates the restaurant décor. There are three dining rooms, each around the same size, in which the seating is placed around a dining bar and teppan plate. Guests gather at the end of the meal to eat dessert in the drawing room overlooking Marina Bay. Staff are attentive, friendly, and the number of diners is small enough to be given individual attention. A ten-course degustation menu is served, created largely from seasonal ingredients but with ingredients such as marinated botan shrimp with sea urchin and caviar, Tasmanian abalone, Japanese Ohmi Wagyu beef, and Tasman abalone making a regular appearance. Despite the mixed heritage of the cuisine, this is very much a modern Japanese culinary journey. Tetsuya is an appointed sake ambassador, and this is reflected in the collection available. Waku Ghin is an omakase dining experience taken into a slightly different, and exciting, direction. This really is a venue for food lovers, and especially for lovers of Japanese food trends, for there is nothing else like it in Singapore.